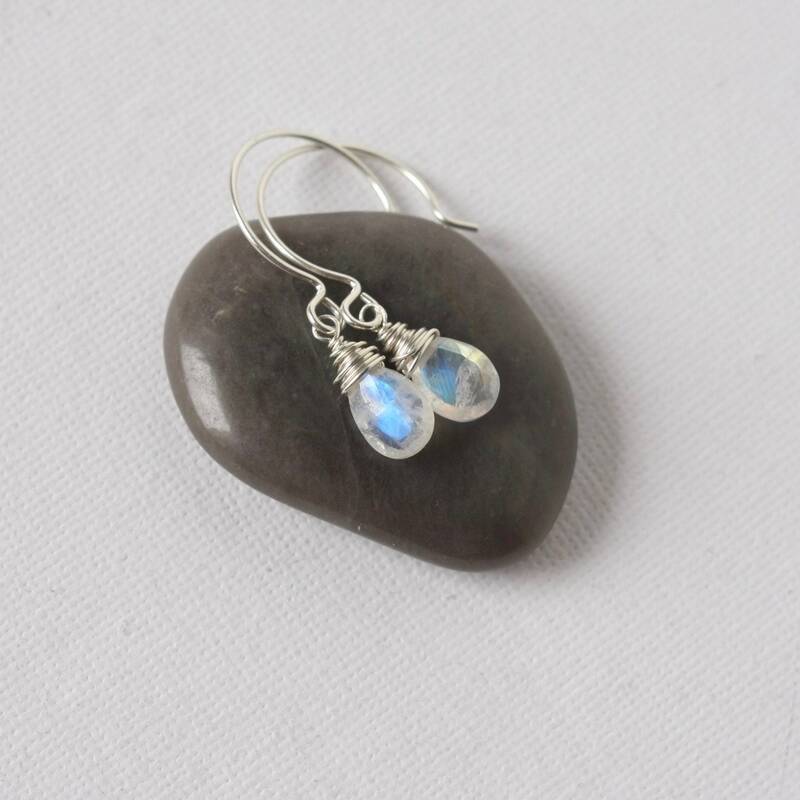 Just look at that gorgeous blue flash! 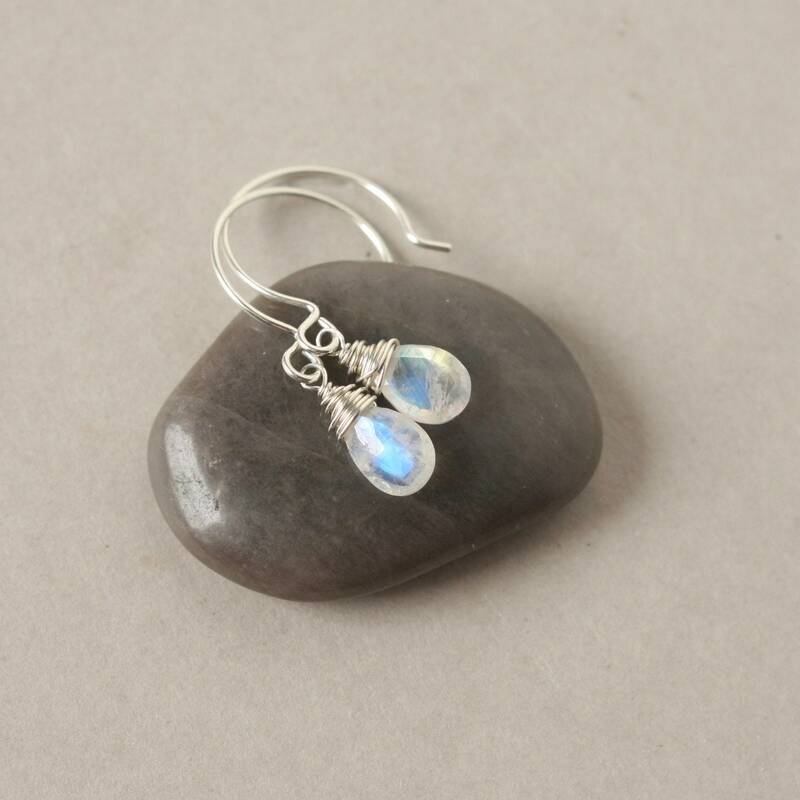 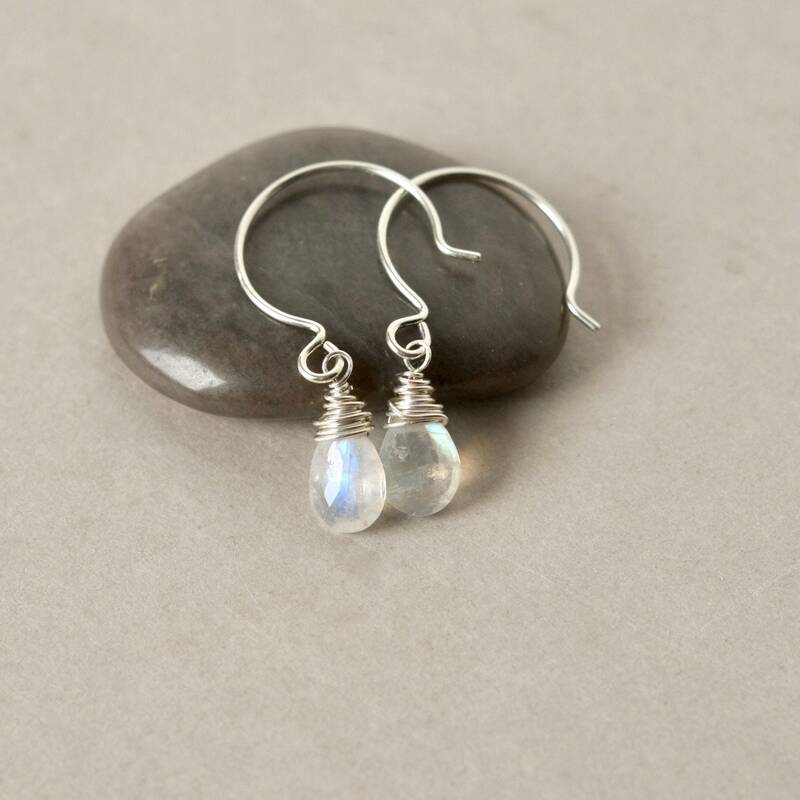 These pretty rainbow moonstone briolettes are 11mm long and are of excellent quality with beautiful faceting. 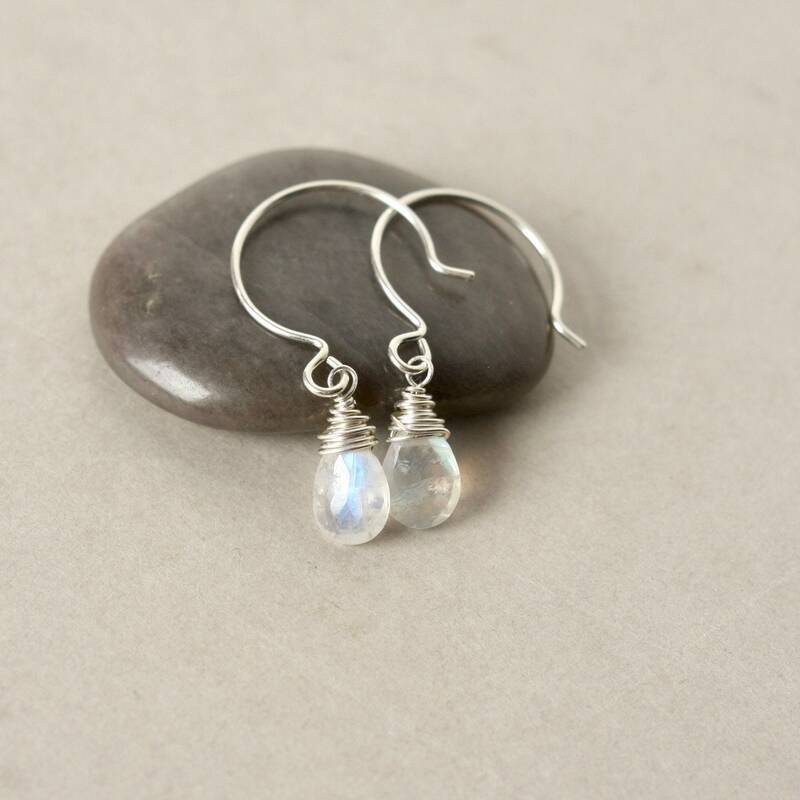 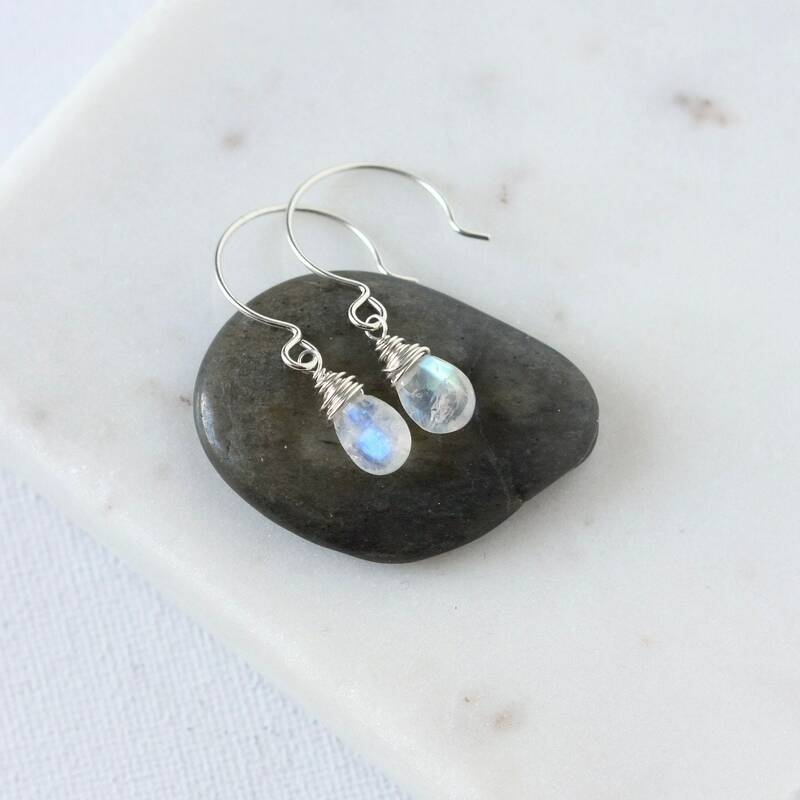 They are wire wrapped in sterling silver wire and hang from French sterling silver ear hooks for a simple minimalist look. 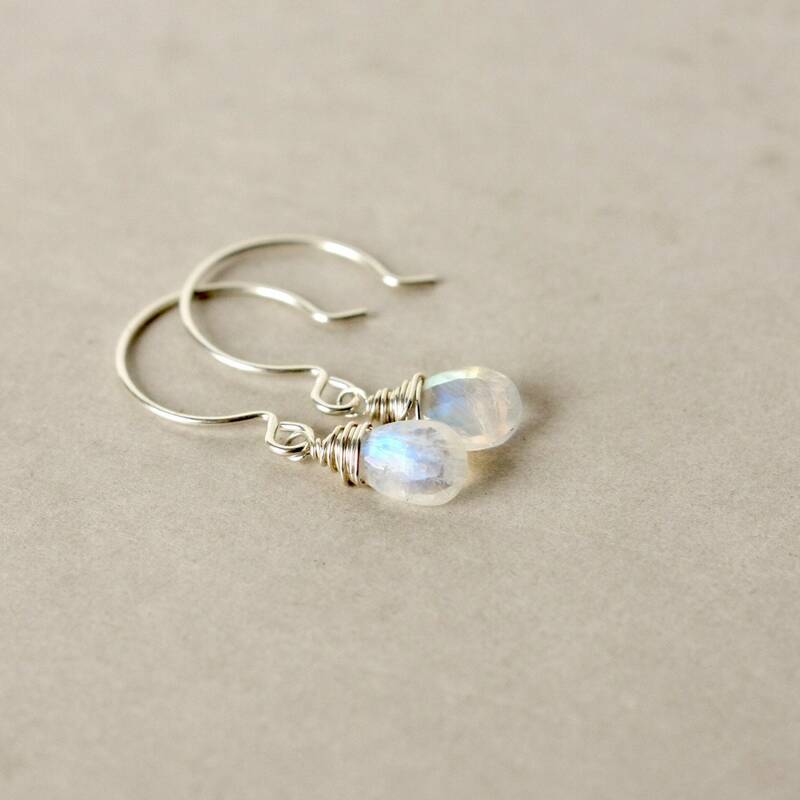 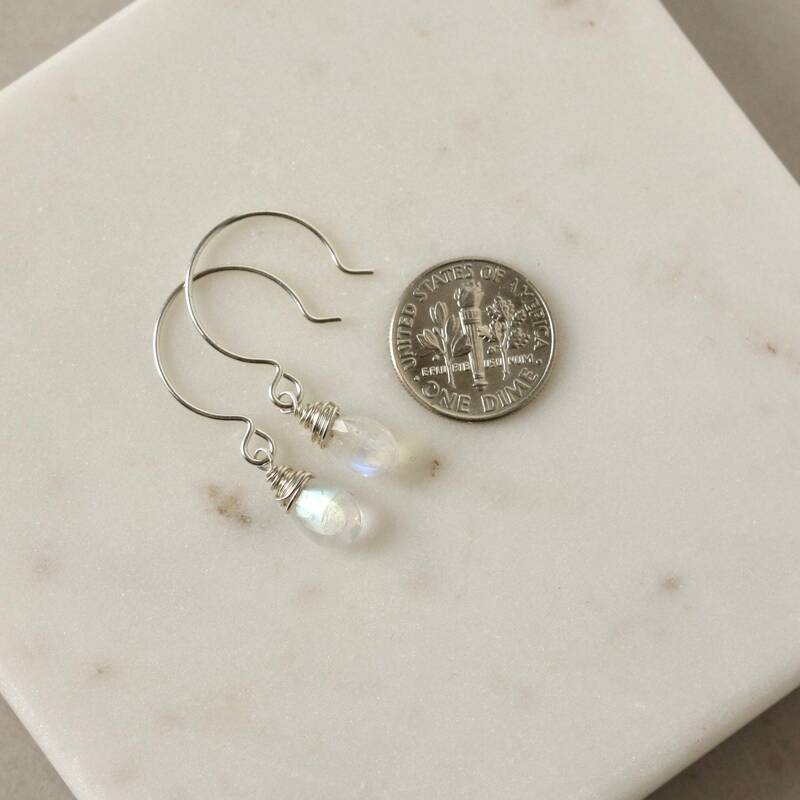 The earrings hang a little over 1.25 inches from the top of the ear hooks - a great length for everyday wear. 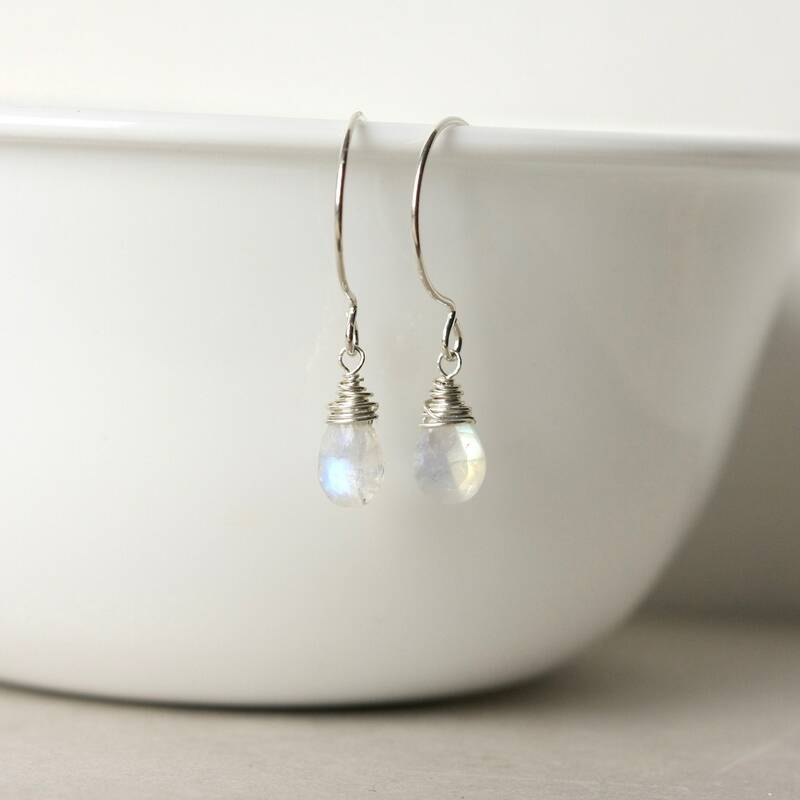 These flashy dangles have nice movement and the facets catch the light for lots of shimmer and shine.